If you aren’t already protected by a home surveillance network, you should look into it. The peace of mind is well worth the cost, and the cost of getting one set up is almost negligible these days. Don’t believe me? Then check out our guide to building a security camera network using old smartphones How to Build a Security Camera Network Out Of Old Smartphones How to Build a Security Camera Network Out Of Old Smartphones There's no better use of old smartphones than by building your own DIY network security camera system -- we show you everything you need to know! Read More . If you don’t have any lying around, you can always buy some that are several generations old. Or, you could go simpler and just use a webcam for home surveillance Use Your Webcam For Home Surveillance With These Tools Use Your Webcam For Home Surveillance With These Tools Having your own home surveillance system can be a powerful deterrent to would-be intruders, snooping roommates, or frustrating co-workers. Here are 6 great options for webcam-based surveillance products you can use today! Read More . But security cameras are useful for more than just surveillance. 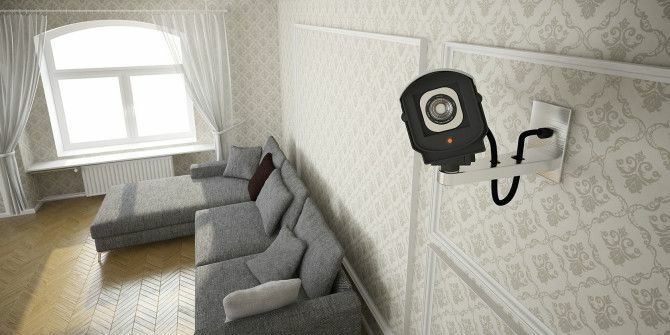 With a dash of creativity and some elbow grease, you can kick your quality of life up a notch with these atypical ideas for your security cameras. The obvious way to make use of your surveillance network is to review the recordings on a regular basis. The second most obvious way is to tap into the live video stream using a remote computer or mobile device. Unfortunately, both of these methods are high maintenance. What if you could tweak your surveillance in such a way that it notifies you when it detects something unusual? Rather than checking in every day, you can forget about it until the network sends you an alert. Far more convenient, I’d say. There are free programs out there, like YawCam, that allow you to use your webcam for motion detection How To Set Up A Motion Detection Surveillance System With iPhone Notifications How To Set Up A Motion Detection Surveillance System With iPhone Notifications One thing I've been meaning to do is set up my always-on home server as a CCTV Surveillance System that sends alerts to my iPhone whenever it detects motion. Though the results are fantastic, you... Read More . Combined with Growl, you can then send out text or email alerts when motion is detected. If you want to take it to the next level, you could even build your own motion detection system with Raspberry Pi 2 Cool Motion Sensor Webcam Tools to Snap Those Intruders 2 Cool Motion Sensor Webcam Tools to Snap Those Intruders Read More . The above section is great, but motion sensing can do much more than send out alerts if you incorporate smart home technology into your household; specifically speaking, you’ll need a smart home hub Which Smart Hub for Home Automation Is Best for You? Which Smart Hub for Home Automation Is Best for You? For a while, people thought of the idea as nothing more than a gimmick, but recent product releases have shown that smart home automation is starting to live up to its promises. Read More that supports a camera with motion detection. For example, maybe you’re already using the Dropcam Pro security camera Dropcam Pro WiFi Monitoring System Review and Giveaway Dropcam Pro WiFi Monitoring System Review and Giveaway The Dropcam Pro is a small, WiFi enabled, security camera for personal use. We bought this unit for our review. Read More as a standalone product. Not long ago, Dropcam became compatible with the SmartThings Hub, and the SmartThings Hub has an array of peripheral products that can all be controlled and automated by the Hub. What does this mean for you? With the right setup, you could arrive at home – thus triggering the Dropcam with your motion – and have that act set off a bunch of events: flip on the lights, change the thermostat setting, boot up your computer, turn on the TV, etc. If you don’t have a security camera (and you were thinking about getting one), you should know that you can accomplish the same thing by purchasing a SmartThings-compatible motion sensor, which is significantly cheaper than something like the Dropcam. Then again, you’ll miss out on all of the other cool things you can do in the rest of this article. Anyone remember JenniCam from 1996 7 Ancient Internet Trends That Affect the Web Today 7 Ancient Internet Trends That Affect the Web Today Today's web might not look or feel like the web of the 1990s, but you'd be surprised by how much of it is actually the same when you dive beneath the surface. Read More ? The premise was simple: a 24/7 webcam that allowed anybody to tune in and peek at Jennifer Ringley’s private life, including everything from the mundane (e.g. dinner, homework) to the intimate (e.g. sleeping, dressing). JenniCam is now defunct, but the premise is still alive. For example, the International Space Station has an always-on live stream of its interior. But more relevant is RealLifeCam.com, where real people have 24/7 streams of their homes that anyone can watch. If you’re looking for a thrilling bit of exhibitionism, this is certainly a viable way to put your security camera to use. But if that’s a little too extreme for you, you can tone it down by leaving it off except when you’re hosting a social event or have guests over. Those who can’t make it can still tune in over the Web and see what they’re missing out on. And now that YouTube can live stream How Recent Changes to YouTube Will Affect You How Recent Changes to YouTube Will Affect You Chances are, you've been on YouTube. You've probably watched a lot of video — you may have even uploaded a few. Whatever your reason, you need to know about a couple of big updates. Read More , all of this has never been easier. Most security cameras are used for security. (Shocking, I know.) But just because it’s dubbed “security camera” doesn’t mean you have to use it for security. There’s a lot you can do with an always-on camera besides catching thieves. For example, use it to record your every meal. Review the footage once a day to see what you’re eating for breakfast, for lunch, and for dinner. How many snacks are you sneaking? Are you actually eating as little – or as much – as you think you are? Use your security camera to document your posture throughout the day. When you’re at the computer, are you adhering to proper computer posture guidelines Log Into Life: Top 9 Tips To Fight Computer Fatigue & Protect Your Health Log Into Life: Top 9 Tips To Fight Computer Fatigue & Protect Your Health Did you know that your sedentary lifestyle could be killing you from the inside out? Ryan has already presented a case on potential health risks from sitting too long, and for those of us who... Read More ? Do you have bad laptop posture Don’t Break Your Back: 5 Tips For Using A Laptop In Comfort Don’t Break Your Back: 5 Tips For Using A Laptop In Comfort Laptops are small, light and portable. They are also, in a strange twist of fate, often far more uncomfortable than the bulky desktops they replace. Being forced to place the screen, touchpad and keyboard in... Read More when you’re on the couch? Or even better: leave it on through the night to record your sleeping habits Sleep Better & Improve Your Health By Changing How You Use Your Computer Sleep Better & Improve Your Health By Changing How You Use Your Computer Computer work must not be hard on your body. Simple changes that only cost you minutes each day can have a great impact. Here are some tools to help you out. Read More and see if there are any issues worth looking into. Other not-so-practical ideas include time lapse shots as the seasons and weather change outside, or even to document the evolution of decor as you live in your home. Rather than security, why not use your surveillance for supervision instead? One common use case would be for newborns and toddlers. You could go out and buy a dedicated baby monitor, but they don’t really offer anything special other than a few convenience features. If you have a security camera that allows remote viewing, that’s really all you need. I’m fascinated by gardening. I don’t have enough space or time to manage one of my own, but I will one day. The one thing that troubles me, however, is that gardeners sometimes lose all of their hard work to squirrels, raccoons, human thieves, and other pests. And while a security camera won’t be enough to prevent such nuisances, it can definitely help you to diagnose the problem — and thus save you from yanking out all your hair as you wonder what’s eating all of your tomatoes. Or, using a camera with motion detection, you could set off a sound alarm that would scare off those critters. Insects are another big pest worth worrying about. I once woke up to a massive infestation of carpenter ants in my living room. The immediate cleanup was easy, but over the next few weeks there was a constant trickle of ant after ant after ant, and they usually came out at night. Frustrating, to say the least, especially because I didn’t know where they were coming from. If I had a night vision security camera, I would’ve set it up as I slept – in a new location every night – to track down the source of those bugs. This is by no means an exhaustive list. We’ve already covered several other ways to unlock your webcam’s potential I Bet You Didn't Know Your Webcam Could Do This! 5 Tips To Help You Use Its Full Potential I Bet You Didn't Know Your Webcam Could Do This! 5 Tips To Help You Use Its Full Potential Are you the kind of person that covers their webcam with a sticker, so nobody can spy on them? 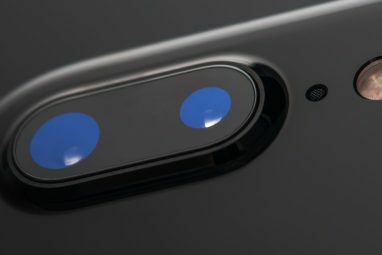 Almost every device now is equipped with at least one camera. They make virtual meetings a... Read More , including using it to play interactive games, log into your computer using facial recognition, and control software input. And I’m sure there are even more creative ideas out there. Tell us! Do you use your security cameras for any unusual purposes? We’d love to hear about it! The comments are right down there, so don’t be shy. Explore more about: Home Security, Webcam. What Is A Smart Doorbell, And Which Should You Buy?